London Victoria station is the second busiest London terminus, with an annual footfall of 137 million people. 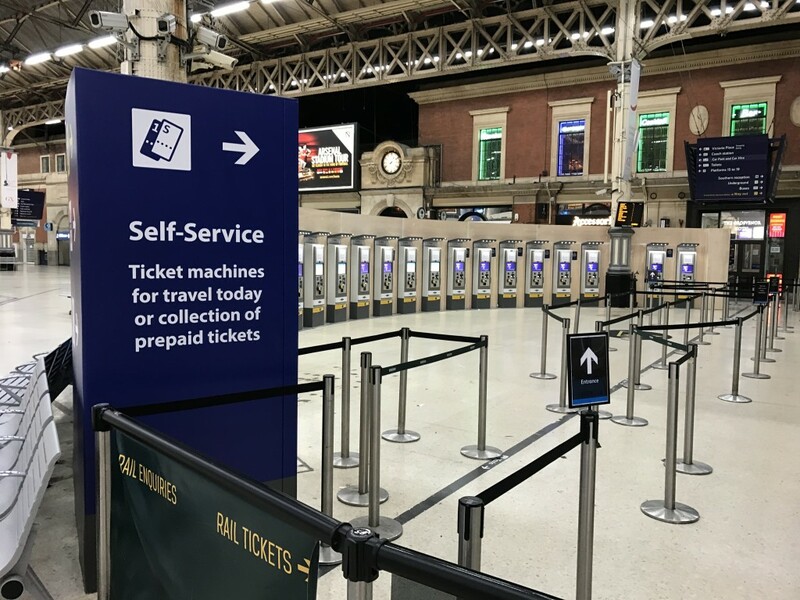 The overall brief was to relocate and replace 21Nr Ticket Vending Machines to create a better customer experience and to assist the station staff in better managing the sheer number of ticket sales and passenger/commuter purchases via the new automated system. 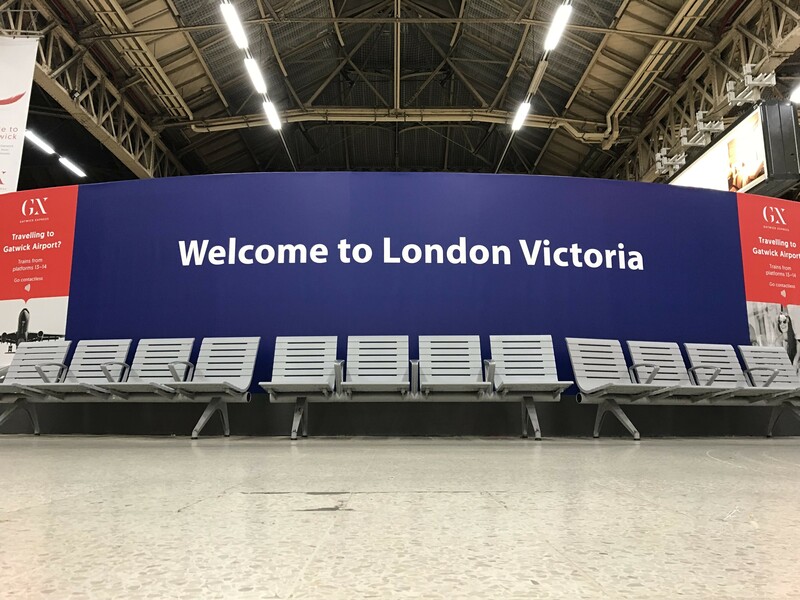 A series of surveys and a pedestrian flow analysis was carried out to assess how we could relocate and install new 21 Nr TVMs in a arc adjacent to the existing ticket office with the least disruption to the station and it's commuters. To achieve this we decided the best approach would be to pre-construct the whole structural base away from the station and install the machines and associated power and data cabling only at night. This ensured minimal disruption and an efficient use of our operatives. Final designs were agreed, but not without a few challenges to overcome. Point loading became an issue and the weight of the TVMs need to be distributed evenly across the floor. The original design allowed for the TVMs to stand on bespoke steel base plates, interlocked to prevent drilling into the ageing suspended flooring. The Station Operations team decided that the proposed TVM Array was standing too wide (at nearly two meters) a reduction to 1000mm was needed to prevent it encroaching into the Pedestrian flow. The original cladding contractor was no longer going to meet the target dates for the installation and a new cladding contractor would now need to be appointed at short notice. KH Engineering Services were the Principal Contractor. Our dedicated electricians worked tirelessly, in freezing conditions to safely deliver a good quality installation with no major incidents or issues. With our well thought out approach and the experience of our project managers to overcome the challenges, the project completed on time and to budget. My name is Niall Walton and I am a GTR Programme Manager responsible for making some major improvements at London Victoria. 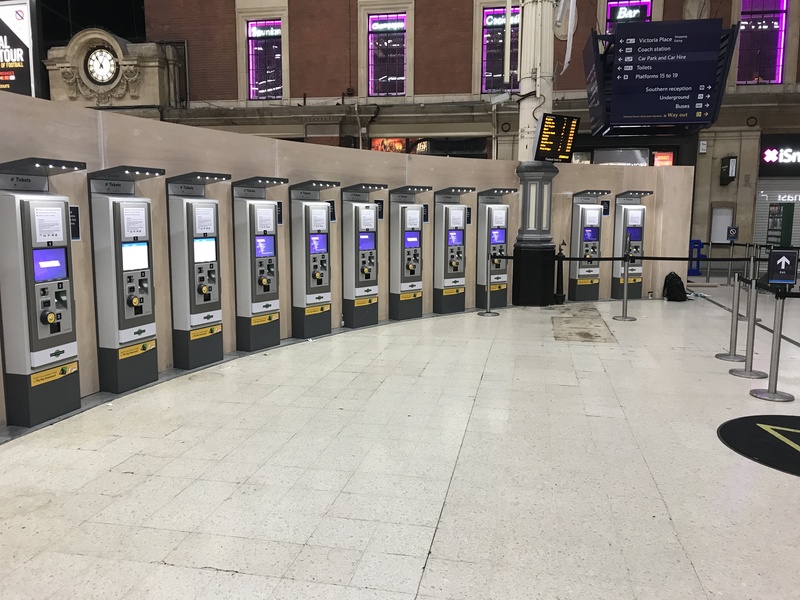 One specific project required 21 ticket vending machines to be installed on the Southern Concourse near the main station ticket office. Sounds simple! This project turned into a major feat of civil engineering. We had to build them in an arch above a concourse with practically nothing underneath it…and it weighs 10 tons! With over 100 stakeholders involved, 3 redesigns, numerous delays due to the instability of the machines themselves KH Engineering really stepped up to the plate to get us through it. Nothing was too much trouble and I can only thank them for their patience and perseverance; a great company to work with.